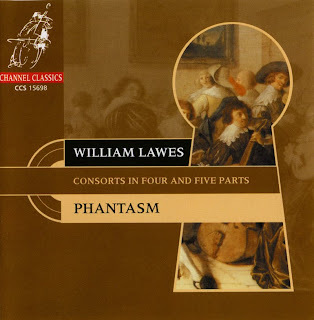 "But mostly it is due to compositional genius and his sensitivity to sound that, even in the smaller scale works, Lawes can unite each one of the disparate musical lines and then go on to take them further, to become much greater than their sum. By comparison, even the finest pieces of other composers - such as Byrd or Tomkins - wonderful as they are, can seem to be merely entwined lines playing simultaneously. 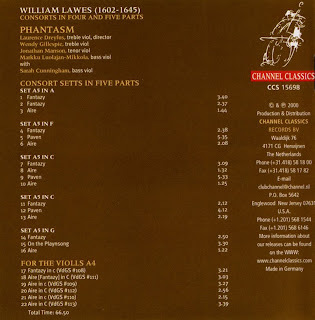 The overall impression - indeed, illusion - of William Lawes' music is one that can really only be described as symphonic." Danke schön für die gute Musik! Vielen Dank, sehr schöne Aufnahmen! De vierde ontbreekt map Mediafire. Kunt u op het vierde deel? Dank je wel! A file is missing from Mediafire folder. Could you please put the fourth part is missing? Thank you very much!